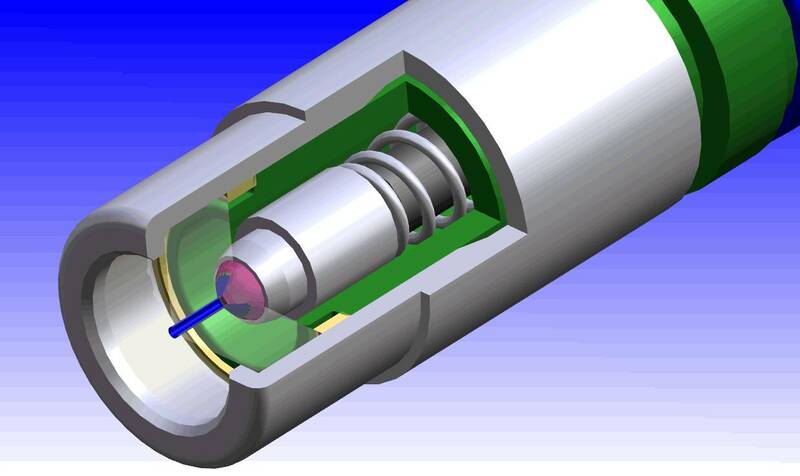 The SMLD300 is a miniature, high precision, Swiss-made micro-valve fabricated to the highest European standards. These valves are individually QC tested and adjusted to assure accuracy and consistency. The SMLD300 valves enable the Universal Dispensing/Aspirating Device to provide accurate dispensing down to 20 nl with CVs of <5%. The SMLD300 is available as a component or as a replacement part. A sapphire to ruby valve seat (hard on hard surface interface) assures a well-defined, precise dispensation with minimal adhesion, retention and accumulation of reagents. The valve orifice is designed to reduce flow turbulence and eliminate satellite droplets, adding to the overall accuracy of the dispensing process. 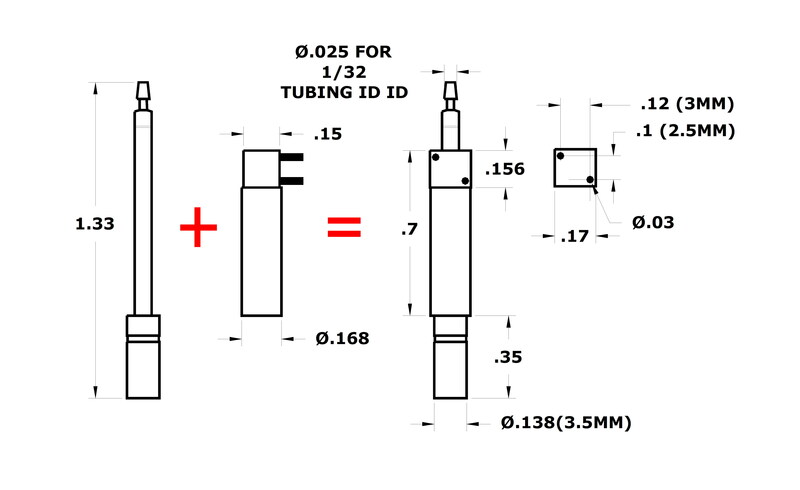 Micro valve dimensions enable use in tight linear or matrix arrays. 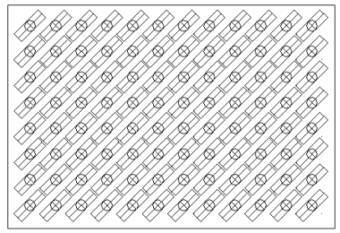 An example of 8 x 12 matrix with 9 mm spacing is shown on the right. An array of SMLD valves is shown above for illustration purposes. The valve is energized by a short 12 VDC pulse (1 to 2 msec), followed by a 3 VDC (RMS) holding voltage. Valve’s opening and closing time is close to 1 msec. The valve will operate at pressures of up to 30 PSI. Valve drivers are available and TechElan can provide information on optimal pressure selection for better dispensing accuracy, re-suspension of compounds, reduced splashing and other liquid dispensing parameters.